The truth is that most people are afraid to ask questions—whether from years of conditioning within a company or plain old human nature. Whatever natural curiosity they had as children tends to get discouraged in most large organizations. 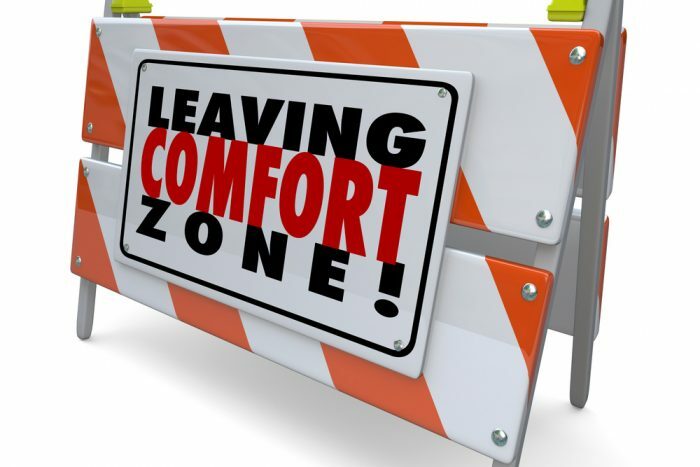 Leaders assume following the status quo is the right way to go and are not interested in trying to challenge anything, especially if it seems on the surface to be going along just fine. And the lower-level employees just try to do what’s asked of them and stay out of trouble, believing that people who ask questions may be sticking their neck out. Obviously, getting people to start asking questions — getting them to use fresh eyes and act on that new perspective — requires effort and energy. It means changing what may have been part of a process for years. Change is very hard. It actually means choosing the path of resistance, instead of the path of least resistance. But when people get into the habit, and know they won’t get their head chopped off for asking questions, that in fact their questions will be welcomed, everything gets better. The best way to teach is by example. Buddha and every other great leader throughout history taught by showing or doing, not by telling. When your people see you, the leader, asking questions (i.e., questions about how and why things are done, not questions regarding people’s individual intentions and/or productivity), they will begin to feel comfortable answering your questions, and they will start asking similar questions with their folks. And those folks, in turn, will start to realize that challenging things and offering information about what is really going on in their department is something that is encouraged. When you are willing to admit in front of everybody that you don’t know a particular answer, and you are the boss, then that makes others understand that they also can admit they don’t know. This enables free flowing information, which is essential to the health and productivity of your organization. This sounds pretty simple doesn’t it? So why does this reticence, this reluctance to ask questions, occur so often? Why is it so hard for leaders to know what’s going on at the lower levels of their companies? The main reason is that leaders are fundamentally not interacting well with their employees. When I interviewed Denis Picard, a managing director who specializes in technology and operations at Alvarez & Marsal’s Business Performance Improvement in New York, he told me a story that illustrates what can happen when people don’t ask questions. “We had a client in Boston,” said Picard, “a communications technology manufacturer, rapidly growing, who needed to put in a new ERP [enterprise resource planning] system. As I’m sure you know, ERP systems have a high risk of failure, and if you don’t have senior management support you cannot succeed. “This Boston client had picked a system, configured the system, converted the data, and they were ready to go. Then the CFO, who is a friend of mine, called me and asked me if I would come take a look. He said they were supposed to go live, but he wasn’t feeling good about what was happening. “So I spent some time looking into it and found out that the implementation has stalled. They were supposed to go live maybe in a month or two, but things were at a standstill. I had a conversation with the CIO, who was the project leader, and I asked him what the problem was. “’We lack senior management support,’ he told me. ‘Wow,’ I said. ‘That sounds pretty serious. Why do you say that?’” ‘Because the CFO won’t help us,’ was his answer. And I thought, That’s interesting because the CFO was the one who asked me to check into this. What’s he doing wrong? “My understanding,” said Picard, “is that you will not approve a $12,000 printer that you don’t know anything about, and that’s going to cause the project to be delayed.” The CFO was nonplussed. Absurdly enough, the project was costing about $5 million, and a $12,000 printer was holding it hostage. Of course in the end they bought the printer and finished the project. If you engage your employees, they will not be afraid to come to you and tell you what is really happening. Their natural curiosity will come back, and they will start questioning things. However, this is a process that requires constant fine-tuning. Steven D. Goldstein has over thirty-five years of experience working as an operating executive at both global Fortune 500 corporations and midsize companies, as well as advising private equity firms with their portfolio companies. His special talent lies in unleashing companies’ hidden assets, transforming employee and customer engagement, and accelerating the pace of decision-making and change. He currently serves as Chairman of US Auto Sales, as Senior Advisor to Milestone Partners and as an Industrial Advisor to EQT Partners. Goldstein also advises leaders about engagement and performance improvement, and is a sought-after public speaker. The author earned his BA from CCNY and his MBA from NYU’s Stern School of Business, and lives in New York City. Visit his website at StevenDGoldstein.com. His book, Why are There Snowblowers in Miami: Transform Your Business Using the Five Principles of Engagement, is available to on Amazon.com.